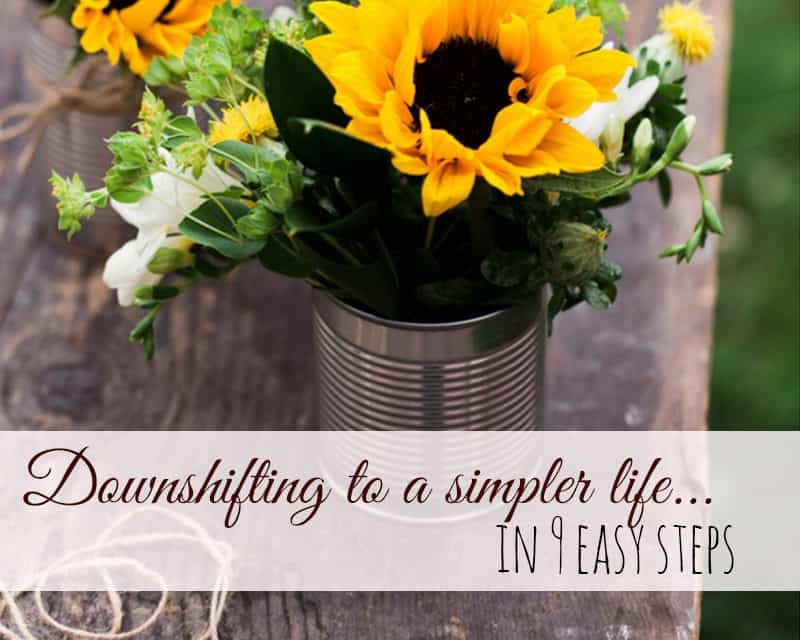 Start downshifting your life to a slower pace. Maybe you’re looking for a way to reconnect with your family or find a way to relax and unwind from the stress of everyday life. 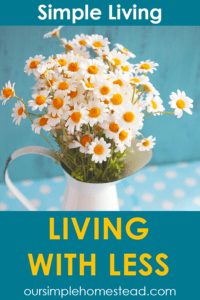 If we’re honest, most of us would say that life is complicated, parenting is exhausting, and the thoughts of downshifting to simple living is appealing. 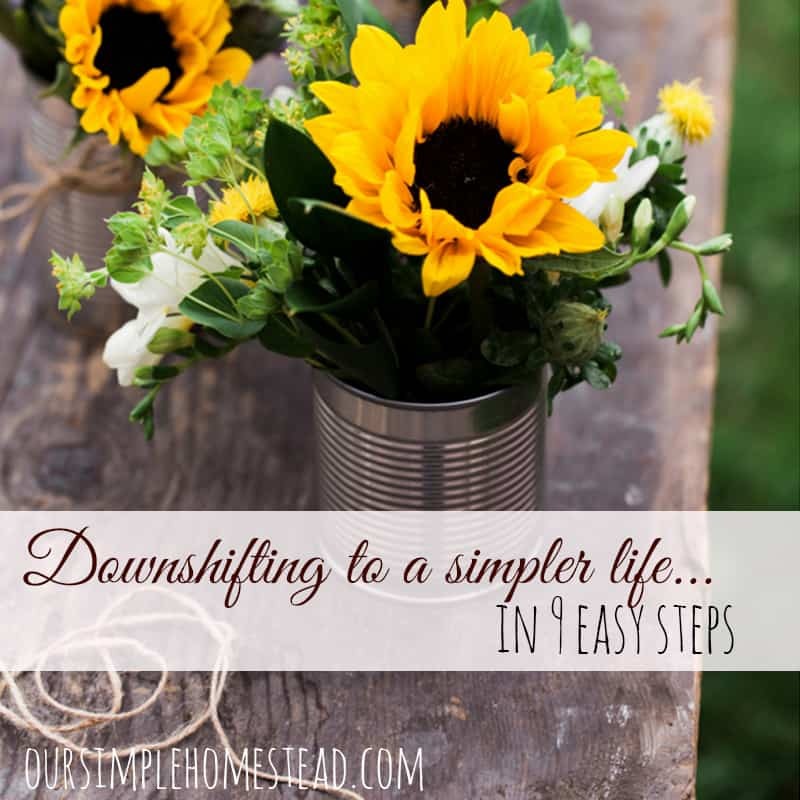 It took us some time to learn how to downshift to a slower pace and find ways to turn our backs on the life we were accustomed to living. We had to dig deep and figure out what was important to us. 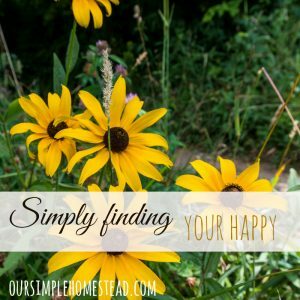 It wasn’t an easy task, but once we changed our mindset to one that included finding joy in what surrounded us, the rest came easy. Make your lifestyle a priority– What is it you dream about? 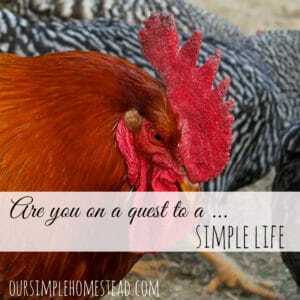 Is it living in the country, being debt free, or traveling around the world? What steps do you need to take to make your dreams come true? Write your goals down and take small steps toward your dreams. Whatever inspires you, make it a priority even if it takes one step at a time. Through hard work and determination, you can accomplish your lifelong dream. Figure out what’s important and let nothing stand in your way! Slow down and enjoy every task –A big part of living simply is slowing down, which can be a real challenge for a society that’s driven by the fastest, newest, and the next best thing. 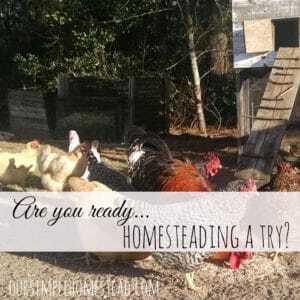 Whether it’s cleaning a chicken coop or making a homemade meal, enjoy the task at hand. Live in the moment, invite the kids to join you and make a game of whatever you’re trying to accomplish. Don’t let your mind wander to the list of chores waiting for you, find ways to make work fun. Stop worrying about tomorrow and start living in the moment. Work hard and laugh often. Connect with nature –There’s something so natural about feeling the dirt between your fingers, sand between your toes, and the sun on your face. One of the first steps to living a simpler life is allowing the wonders of nature to connect with your soul. Start today by taking a break to enjoy nature and its calming effect. Dig your hands in the soil as much as you can and connect with the earth by feeding the birds, plant a garden, and just stand in awe of the changing seasons. Make it a point to actually stop and smell the roses. Connect with nature, not Wi-Fi. Keep the house quiet– Often the noise and stress we allow in our lives come from the constant stimulation of our brain. The sound of the television or the beat of the radio all adds clutter to your world and is the one thing you have complete control over. When you walk through your door, your home should be your refuge. A place where you can relax, calm down, and have a state of complete Create a sense of peace in your environment by incorporating technology-free zones and family only days. Help your family avoid becoming over stimulated by turning off the noise that invades your space. Find time to just be still. Good old-fashion hard work– There’s nothing more satisfying than a few hours of hard work. We have it easy compared to our ancestors. Nowadays, anything that needs to be done there’s usually an appliance that can do it for us. Trade those fancy gadgets in and use your hands. Wash dishes, knead bread or even rake your yard by hand. 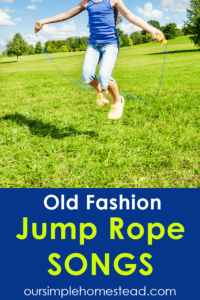 Anything you can do the old-fashion way will connect you to a simpler time. Stay organized– Do you have days when your to-do list overwhelms you? Make a list on Monday of the things you need to do that week and then assign a day to each item. Even if your list is long, it’s liberating to cross things off and see it dwindle by the end of the week. By writing your lists down it releases the anxiety you may feel over forgetting something important. Even children benefit from a well-organized environment. The skills they learn by watching you keep things in order will help them lead productive and stress-free lives. Simple habits will help you tackle a hectic life. Just say no– It’s one of the simplest words in the dictionary, but the hardest word to say. I can’t stress enough how important learning to say no is. Prioritizing what’s important and saying no to the rest is the only way to keep an otherwise crazy life in check. Hang up the calendar and aim to keep it empty more than striving to fill it up. Find balance with your family and look for ways to de-stress the world around you. When you have free time to yourself, you can listen to the birds, watch your children play, make a homemade meal, and have a real conversation with the people that matter the most – your family. Leave plenty of room in your life to just be you. Is it a want or need?– One of the biggest hurdles in life is learning to tell yourself no. In our consumer-driven world, we’re conditioned to feel like we’re entitled to anything we want no matter the cost. In most cases, it leads to overspending on things we think we can’t live without. 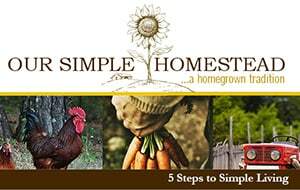 Learn to make do or do without to keep consumerism away from your front door. The greatest step towards finding joy in simple living is learning to let go and be content with what you have. Take inventory– Stop and take a good look at your life. What areas have you lost touch with? 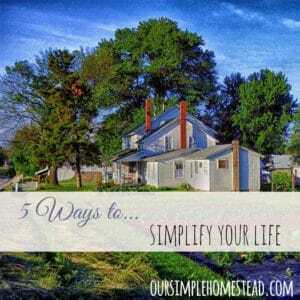 Do you struggle with allowing modern conveniences monopolize your life? Is your calendar so full you feel like you’re spiraling out of control? Maybe it’s your work schedule or spending habits that stress you out. Whatever it is, use some of the tips above to create a plan to slow down and prioritize your life. 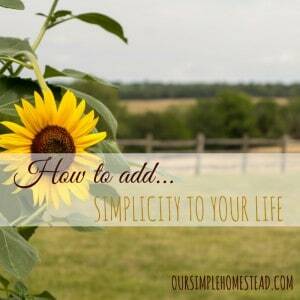 If you learn some ways to simplify your life, it will help you create a climate of peace for those times when life is anything but simple. Invest time in your family, not money. Wherever you are, whatever you’re doing, stop and dream your dream. Figure out how to start downshifting to a slower pace and concentrate on the task at hand, know what’s important, take a break to enjoy nature, and make the most of every day. 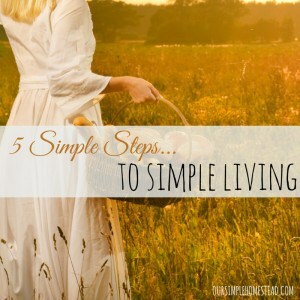 Simple living is only a few steps away, start by taking the first step today.